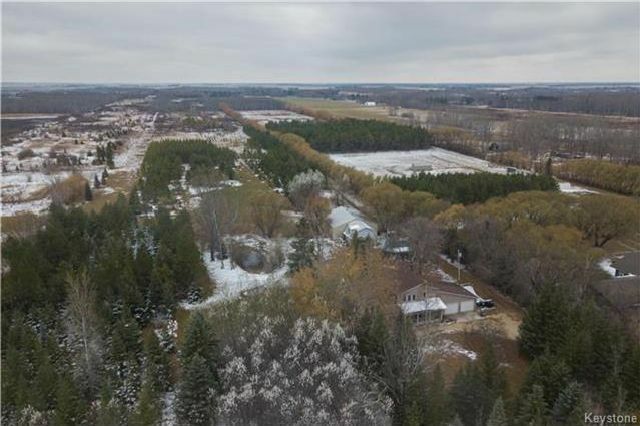 20 ACRES NEAR BIRDS HILL PARK - USED TO BE A CHRISTMAS TREE FARM! This 1820 sf home sits on 20 stunning, well treed acres! The main floor of this home was re-designed by Everett Design Associates and features an updated kitchen and powder room ('09), slate tiles in the foyer('09), in-floor heat in the living room and dining room. Many of the windows have been updated ('05/'09)! The home features 3 bedrooms on the second floor and a recently refreshed washroom with skylight('07). A spacious mudroom('09) off of the oversized double attached garage ('90's) completes the home. House Shingles ('17) The property has 10 acres of electrical fenced pasture land('06) with paddock and an automatic waterer ('14) for the horses. The barn ('07) features 7 Hi-Qual box stalls, electricity, plenty of hay storage space and there is water right outside. Attached to the barn is the heated & insulated workshop with loft. In the back few acres are many trails and paths for dirt biking on or horse back riding. Call today!